Congratulations on the new release Cass. It sounds like a very interesting book. Good luck on the tour. 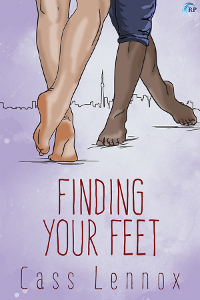 Thank you for hosting me and Finding Your Feet today! Congrats and thanks for the post & giveaway. I love dancing, all forms of dance, the city of Toronto, & diverse characters; so this sounds like a great story for me.